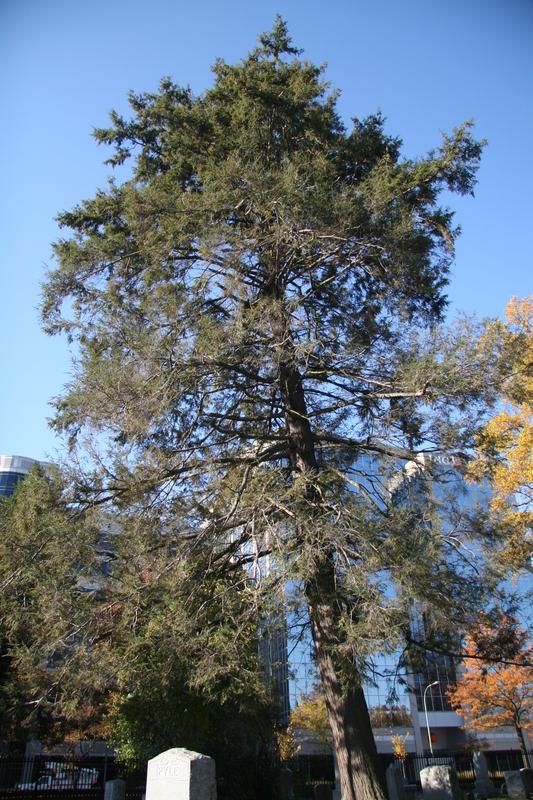 Native to northern New Castle County, hemlock is a slow-growing conifer that is a favorite ornamental for landscapers because it makes a great evergreen hedge. It is often found on moist sites due to its preference for shade, however hemlock also adapts well to other soil types and to pruning. However, it is susceptible to the hemlock woolly adelgid, an exotic insect that can kill the tree. Eastern hemlock has flat, round-tipped needles with two pale lines. Its oval cones hang on short stalks at the tips of branchlets, and often remain on the tree until spring.